The Pisces Cloud, also known as Arp 331, is a small chain of elliptical galaxies in the constellation Pisces between the Andromeda Galaxy and the Triangulum Galaxy that are roughly around magnitude 13.0 and lower. This group is actually part of the Perseus-Pisces Supercluster. 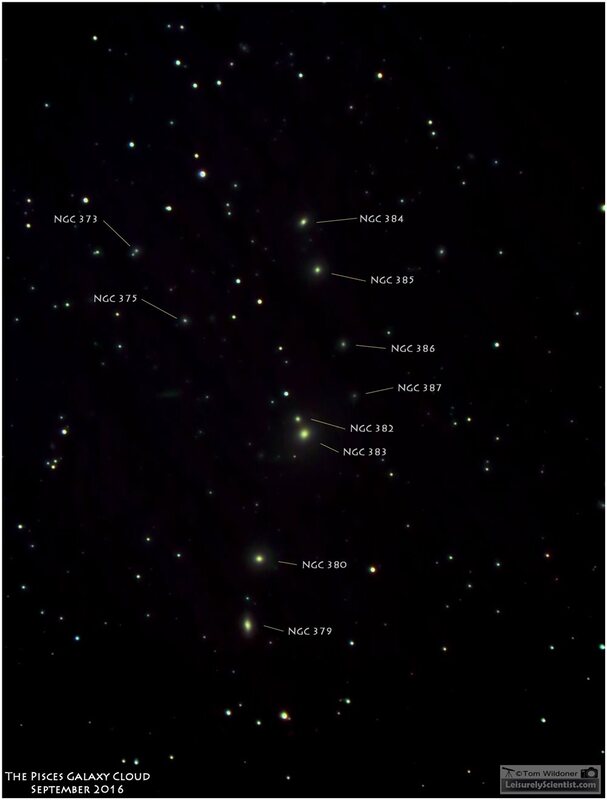 The photo contains many more galaxies than are shown, I have identified just easily identifiable galaxies. This image is composed of 100 x 15 second images at ISO 3200 with additional dark and bias frames. 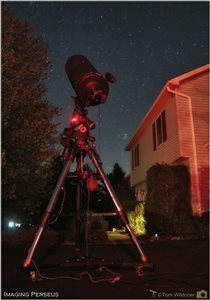 Tech Info: Meade LX90 12” telescope, Antares Focal Reducer, and Canon 6D camera. Imaging was done on September 1, 2016.